Hello everyone! This is Shohei. 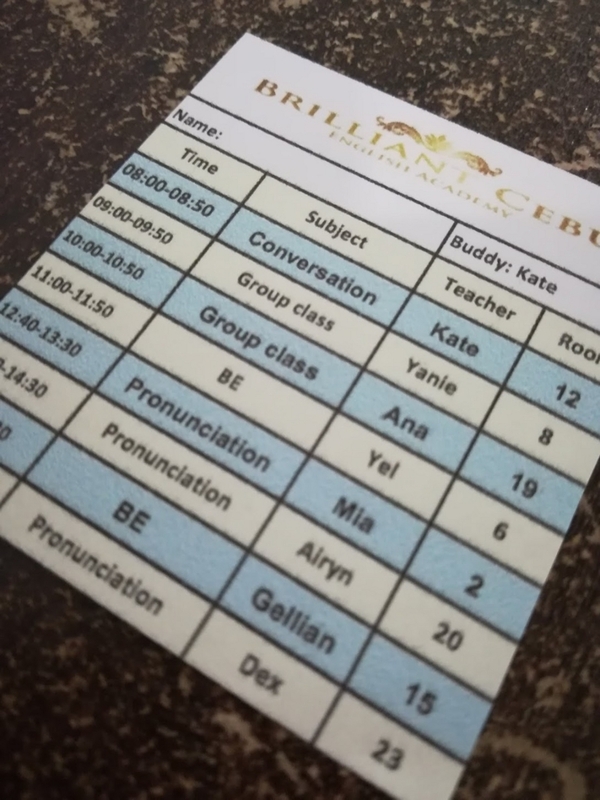 I am going to talk about Brilliant Cebu English Academy's "Buddy Teacher System". Here, Buddy Teacher is attached to each student. Buddy Teacher keeps track of the level of their students and builds a curriculum that matches the student's level. Of course it is also possible to respond to requests such as "I like English conversation main", "I want to put weight on vocabulary and grammar", "I want to make pronunciation carefully" and so on. You can talk to Buddy Teacher what you want to do and change other ways by other teachers. "Talking to your teacher about your curriculum in English" is also a good thing of Buddy Teacher and it will be a fresh experience as well! We also support from Japanese staff what you can not say directly in English.